Every year Tiger Wheel Tyre teams up with the SA National Blood Service (SANBS) to campaign for South Africans to voluntarily donate their blood, rather than wait around for attractive, young pale-faced vampires to take it against their will in the twilight hours. 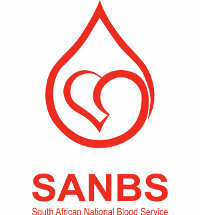 The nationwide ‘Be A Hero’ campaign runs from 1-31 October 2012 and is an effort to shore up the SANBS’s blood stocks prior to the advent of the festive season, when these supplies are in high demand. To encourage acts of heroism in the month of October, Tiger Wheel Tyre is running a competition where donors can sms their donor number and stand a chance to win a R5000, R3000 or R1000 gift card, valid at any of the company’s stores, nationwide. If, after donating, you feel slightly and momentarily off balance, consider the trade-off worth it, since every donor will also receive a Free Wheel Balancing Voucher in appreciation of his or her effort.